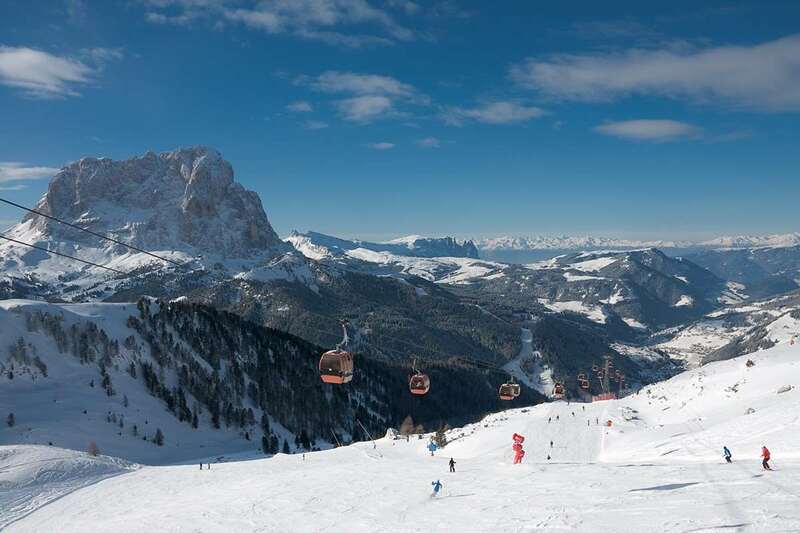 The centrally located Hotel Antares offers superior standards, excellent leisure facilities and easy access to the slopes and the Ciampinoi gondola. Guests can enjoy comfortable traditional alpine style and a pleasant Italian ambience. Spacious bedrooms, all sleeping 2-4, make it a good family choice. Location: The hotel is in the resort centre, just 1 minute walk (100m) from the Ciampinoi gondola. All superior rooms, consisting of one bedroom with small lounge area with a single sofa bed and an extra pull-out bed when required, have bath or shower, satellite TV, safe, telephone, hairdryer, minibar (pay locally). Buffet breakfast and 4 course evening meal with choice, includes buffets of antipasto and salad.